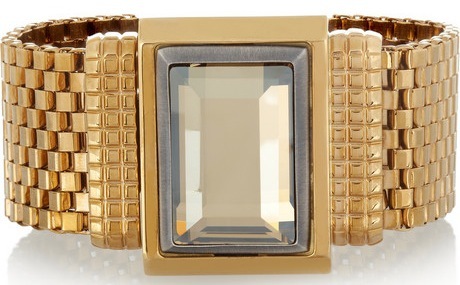 We love this Lanvin gold-tone brass bracelet with Swarovski crystal so much that it is this week's Splurge of the Week! It is a great statement piece that adds the perfect amount of sparkle to any outfit. We also like the timeless feel that the link bracelet adds. It is surely a splurge that you will cherish forever!